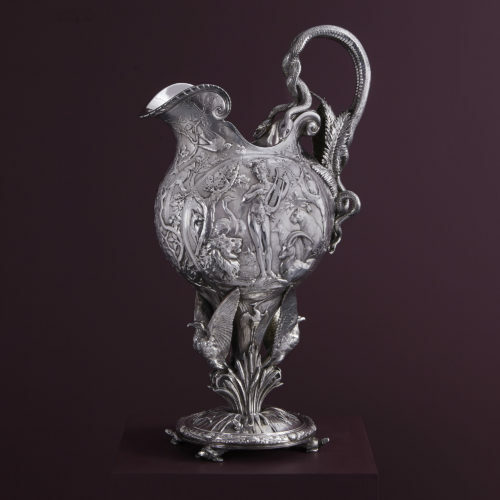 An outstanding, antique sterling silver Ewer, hallmarked in Birmingham in 1909 by Elkington & Company. 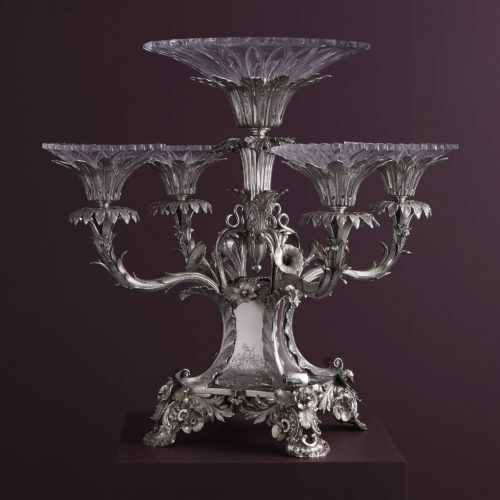 An antique sterling silver and glass Epergne, hallmarked in Birmingham in 1834 by Robinson, Edkins and Aston. 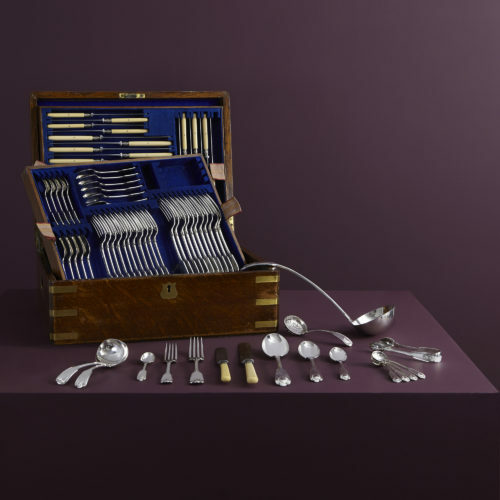 An antique sterling silver cutlery set in the original box. One of over 300 sets in stock. 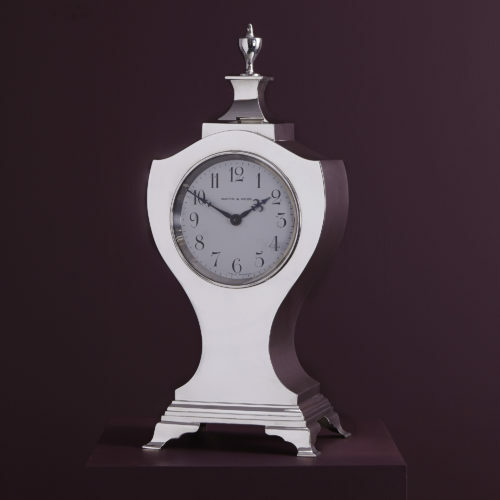 Purveyors of the finest quality British Silver and Silver-Plate.